Amid growing concern regarding the current federal funding climate for ocean science research, the National Science Foundation (NSF) just announced continued support for the Bermuda Atlantic Time-series Study (BATS) research program at BIOS. 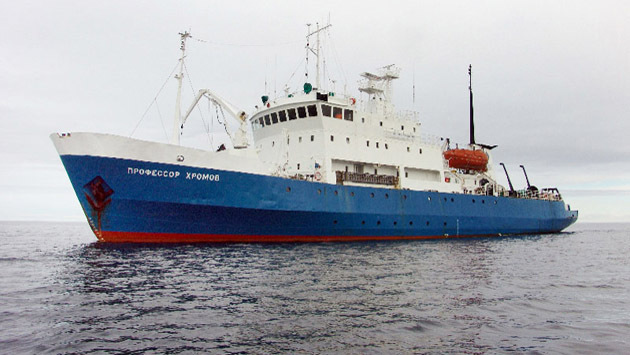 In 2003 the field of Arctic research was significantly advanced by the signing of a Memorandum of Understanding (MOU) for World Ocean and Polar Regions Studies between NOAA and the Russian Academy of Sciences. This groundbreaking agreement paved the way for a new level of collaboration between these two countries in their ongoing efforts to understand the dynamics of the Arctic sea region. The Russian-American Long-term Census of the Arctic (RUSALCA) program was the first research program initiated under this MOU, aimed at studying the ocean carbon cycle and the impacts of ocean acidification on the marine environment in the rapidly changing Arctic Ocean. 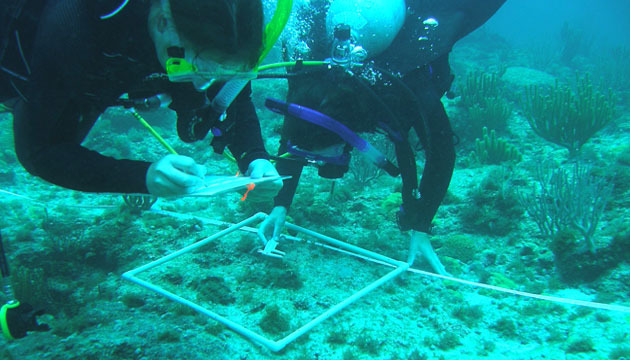 This summer, eight students from the US, Cuba, and Scotland traveled to Bermuda to participate in the Coral Reef Ecology (CRE) course at BIOS. This intensive summer course—geared toward upper level undergraduate and graduate students—exposes participants to the coral reef ecosystem at all organizational levels, from physiological ecology through population biology, community structure to ecosystem dynamics, and including human impacts. 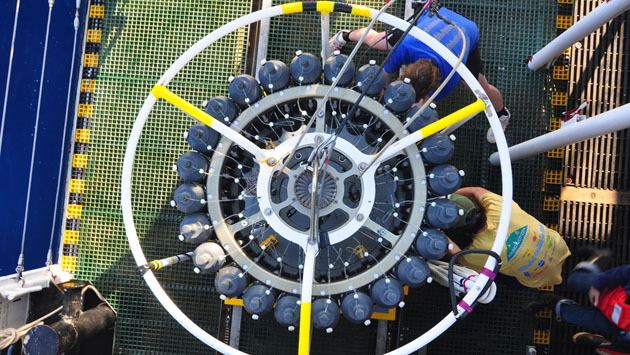 Since 1999 undergraduate and graduate students from around the world have traveled to BIOS each summer to participate in the Microbial Oceanography course. This three-week intensive course is co-taught by Dr. Craig Carlson (University of California, Santa Barbara), Dr. Stephen Giovannoni (Oregon State University), Dr. Craig Nelson (University of Hawaii), Rachel Parsons (BIOS), and Dr. John Heidelberg (University of Southern California), which provides students with a truly multidisciplinary learning experience that taps into the combined expertise of top scientists in their respective fields. 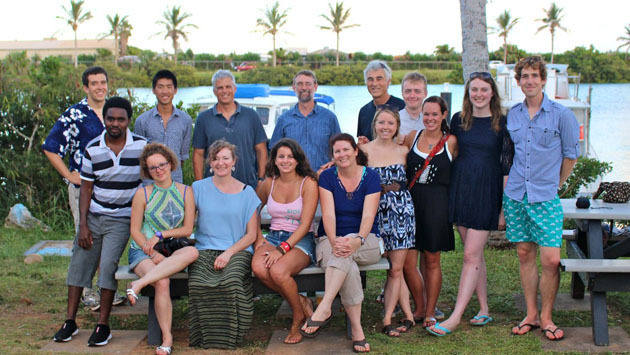 Each year, as part of the ongoing Princeton University-BIOS collaboration, a group of undergraduate students in Princeton’s Ecology and Evolutionary Biology (EEB) and Princeton Environmental Institute (PEI) programs visit BIOS for a month-long course in marine biology. 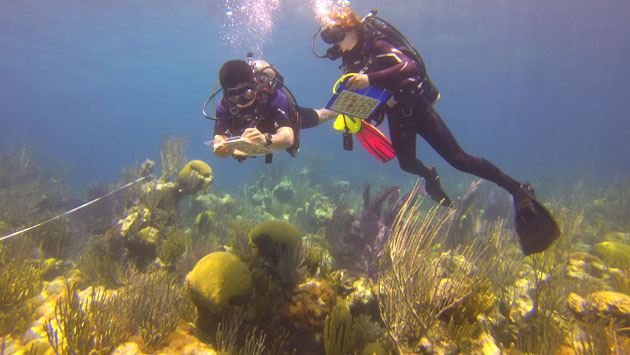 Co-taught by Dr. James Gould (Princeton EEB) and Dr. Samantha de Putron (BIOS), the course is designed to cover all aspects of marine biology, with a special focus on coral reefs. 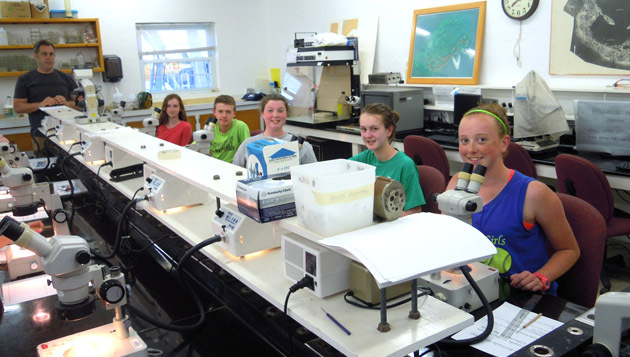 Although BIOS was originally founded as a research station for college and university students, over the years it has also become a place for middle and high school teachers to take their students for a trip abroad that combines hands-on education, adventure, and the experience of living on a working research station. Many of these teachers return year after year with new groups of students eager to learn about everything from history to marine biology to Bermuda’s native flora and fauna.